Honvédség, naziv mađarskih oružanaih snaga, u doslovnom prevodu znači Korpus branitelja domovine. Prvi je put taj naziv korišten za snage osnovane od strane Nacionalnog obrambenog komiteta pod vođstvom Lajoša Košuta, za vrijeme "Mađarske revolucije" 1848. godine. Austro-Ugarskom nagodbom 1867. Mađarima je dozvoljeno da imaju vlastite odbrambene snage u sastavu Austro-Ugarske imperije, koje su se razlikovale od austrijskog Landwhera i Carske i kraljevske vojske. Honvédség ostaje u upotrebi i nakon raspada carstva sve do danas. Interesantno je da je naziv za redova honvéd. 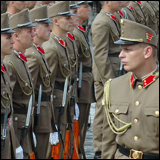 Honvédség is the name of the Hungarian army. 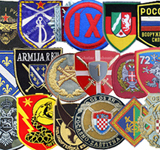 It literally means corps of homeland defenders and was originally used to refer to the revolutionary army established by Lajos Kossuth and the National Defense Committee of the Revolutionary Hungarian Diet in September 1848 during the Hungarian Revolution. 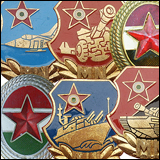 In accordance with the Austro-Hungarian Compromise of 1867, the Hungarians were allowed to have their own forces for homeland defense integrated within the Imperial Forces. The Honvédség became a specifically Hungarian army within the Austro-Hungarian Empire, distinct from the Austrian Landwehr and the Imperial and Royal (KuK) army of the empire as a whole. 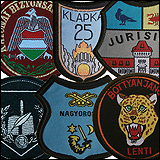 The term Honvédség continued to be the name of the Hungarian military after the end of World War I and the dissolution of the empire. 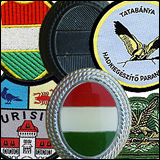 The Hungarian army is still called Magyar Honvédség to this day, and the rank equal to private is honvéd.